← Adam Jones – Face of the Franchise? 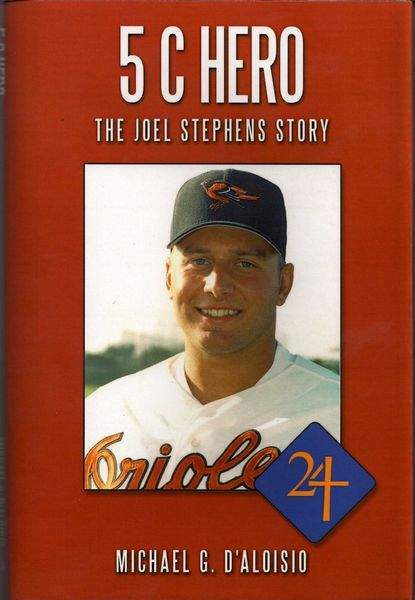 Joel Stephens’ varsity football coach has written a book about the Orioles’ 1995 first-round draft pick, who died in 1998 at age 22 following a 10-month battle with colon cancer. The Star Gazette in upstate New York interviewed Mike D’Aloisio about the book, “5 C Hero: The Joel Stephens Story,” and the player he once coached. “Eleven years ago, when Joel passed away, I felt a gap was created in my life, losing somebody so young who was such an inspiration to so many people and who was such a good person. I felt to fill that void, I would like to share the story of Joel Stephens, and the Joel Stephens I knew. Stephens, a celebrated athlete in his hometown of Elmira, N.Y., joined the Orioles Gulf Coast League affiliate in 1995 as a 19-year-old outfielder, playing with the likes of O’s prospects Calvin Pickering and Kimera Bartee (aka the “player to be named later” in the Scott Erickson trade with Minnesota). The Orioles’ ninth pick of the ’95 draft, Stephens also played with Bluefield and Delmarva before his 1997 cancer diagnosis. He became the franchise’s third player to be treated for colon cancer at Johns Hopkins Hospital in the course of a year, following Eric Davis and Boog Powell. He tossed out the ceremonial first pitch before an Orioles exhibition game the following March. Stephens passed away on Sept. 30, 1998. The Frederick Keys established the Joel A. Stephens Memorial Fund in 1999 to benefit children dealing with serious illness or bereavement due to the death of a parent or sibling. Learn more at the foundation’s website. Meanwhile, the Joel Stephens Invitational Tournament has become one of the premiere senior-level baseball tournaments in the Northeast since its founding in 1998. Image source: The Star Gazette story.